Mobile’s mystic societies reign supreme for the duration of Mardi Gras. For several weeks, masked revelers roll through the streets of downtown Mobile on the backs of papier-mâché monstrosities tossing moonpies and trinkets towards the outstretched arms of the masses. The masked denizens of debauchery also hold elaborate balls dedicated to excess and celebration. In the past, some have cited these festive events as discriminatory. In 2008, filmmaker Margaret Brown took on this aspect of Mardi Gras in the film “The Order of Myths.” However, Brown is not the only person who feels that some Mardi Gras societies sometime frown upon certain individuals attending their events. The M.O.O.R.E. Ball at Azalea Manor aims to be more inclusive, while also bringing a variety of great orginal music to the mix. For six years, the M.O.O.R.E. (Mystic Order of Revolutionary Enlightenment) Masquerade Ball has offered an open and eclectic alternative to traditional Mardi Gras balls. M.O.O.R.E.’s goal is to offer an alterative to the traditional Mardi Gras scene with an inundation of local music and art presented in the beautiful confines of Azalea Manor. Seth Maness (Poet Tree Entertainment), Dustin Rudzinsky (Port City Media) and Will Isherwood (Prime Suspect Productions) serve at the nucleus of this event. One of the catalysts was the trio’s collective experience at traditional Mardi Gras balls. 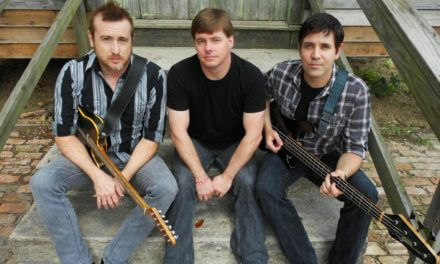 Maness, Rudzinsky and Isherwood are extremely accomplished and dynamic members of the local music scene. Maness is the bar manager at Soul Kitchen, where he is responsible for a variety of aspects of daily business. He is also the brain behind the monthly Elements hip-hop showcase. Isherwood’s career boasts production stints with bands such as Kung-Fu Mama and Dumpstaphunk as well as at many venues and festivals. Rudzinsky is an experienced videographer and the producer of the television show “Just Live Music,” which had a run on WEAR and WKRG. From booking to production, M.O.O.R.E. is a cooperative effort, which is nothing new to this trio. Music will be a major aspect of the ball. M.O.O.R.E. 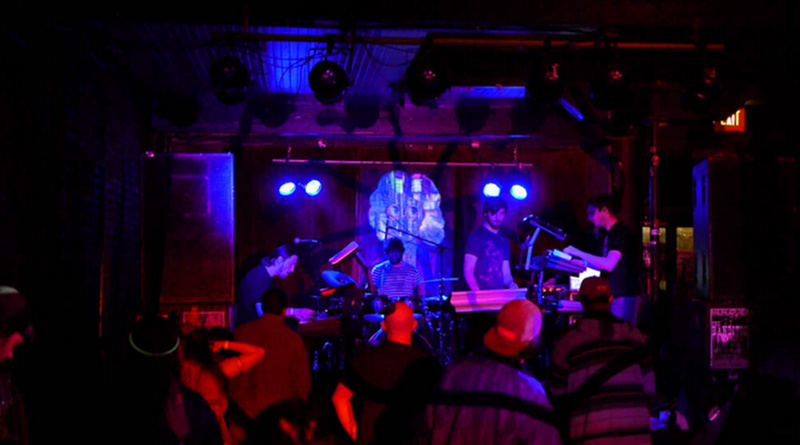 has established a reputation for bringing some of the best regional and local acts, including at least one from beyond the Southeast, but it prides itself on being traditionally untraditional. This year, locals will dominate the lineup. Phunk Blue Moon will be the event’s first repeat performer. The live-instrument hip-hop powerhouse captures the revelry of Mardi Gras, even after Ash Wednesday. Eric Erdman is also scheduled to perform, and he will bring many of his friends from his recent album release party at Soul Kitchen. Zach DePolo, Ashlea Penquite and Jordan Kimsey will join forces for their music project Whiskey in the Weed. Off-beat singer/songwriter Leland Clay will perform his truly unique repertoire of homemade sounds. The Captains of Industry will perform, featuring guitarist Corky Hughes, keyboardist Chris Spies and drummer John Milham. Spies will hang around to perform with his Chris Spies Trio. Finally, the lovely and talented Melody Duncan will be on hand to lend her violin skills to the mix. While the musical aspect of the two-day event will be appealing, the organizers plan on inundating those in attendance with a sensory overload. The Azalea Manor will be painted in electric light, courtesy of Isherwood’s and Rudzinsky’s video projection mapping skills. Video projection mapping gives people the chance to bend and shape a variety of light-driven visual designs on a variety of surfaces. Video mapping often accents modern concert performances and Isherwood and Rudzinsky plan on surrounding M.O.O.R.E.’s attendees with the new art form. A plethora of local visual artists will also be on hand to display their artwork, with organizers opening their arms to a number of artists from a variety of backgrounds and mediums. In addition to the art and music, the trio is hoping the VIP package will be appealing to those seeking access to the Azalea Manor’s bathrooms, parking facilities, bar deals and catering — with some amenities available through Fat Tuesday. Meanwhile, the trio has a bright vision for the future of M.O.O.R.E. Rudzinsky would like to see the event become Mobile’s premiere Mardi Gras ball. Maness wants to add nationally touring acts on the lineup. The trio also has aspirations of incorporating attendees into the “People’s Parade” on Joe Cain Day. However, they must first focus on the present, and they cannot wait for revelers to experience what M.O.O.R.E. has to offer in 2015.